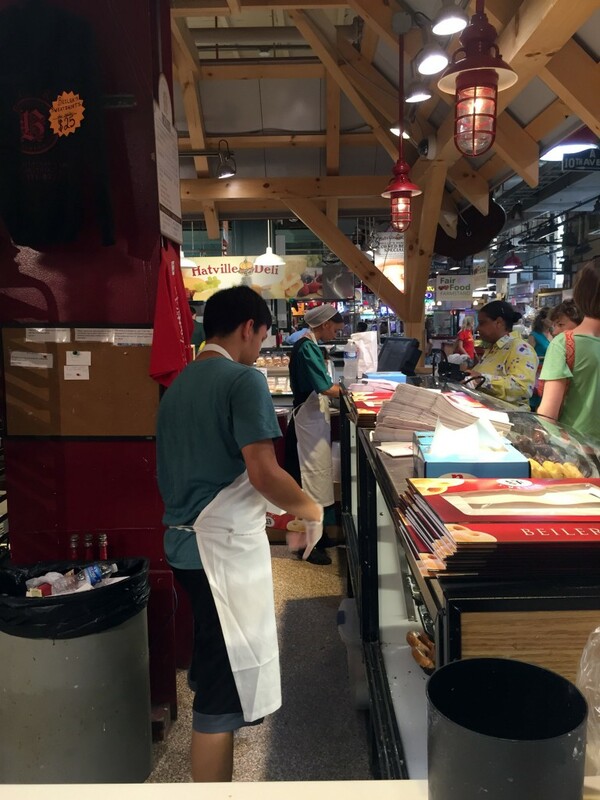 Deep in the back of Reading Terminal Market, you’ll find a line that will rival or surpass any line at DiNic’s or the other famous eateries in the market. Yes, even a line for Philly’s beloved cheesesteaks doesn’t get the queue that this Pennsylvania Dutch establishment gets. Once you make your way to the front of the line, you’ll find a large selection of delicious looking, hand forged donuts. 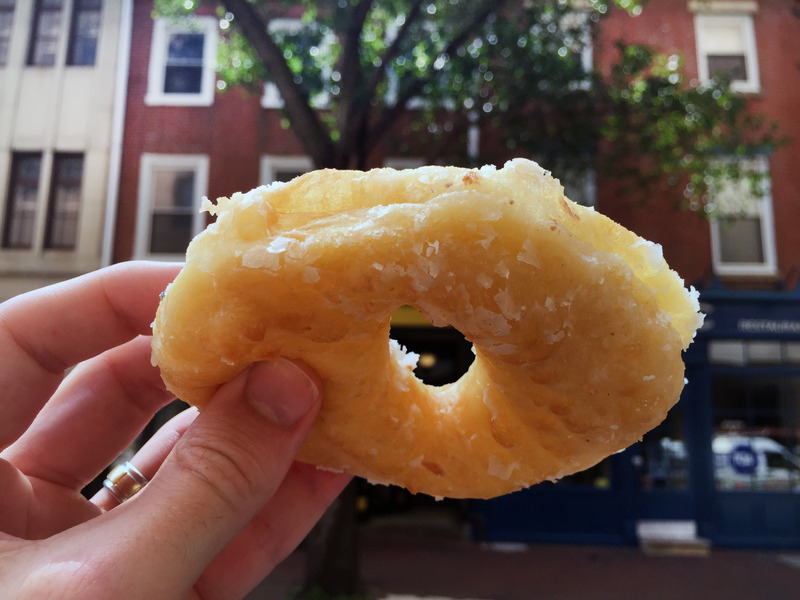 What might be surprising is the cost; a mere .95¢ for a single donut. That’s a price you don’t even see with mass produced donuts! And luckily, these are all hand made – proven by the non-uniform shape of each doughy treat. I stepped up to the counter and ordered a half dozen. 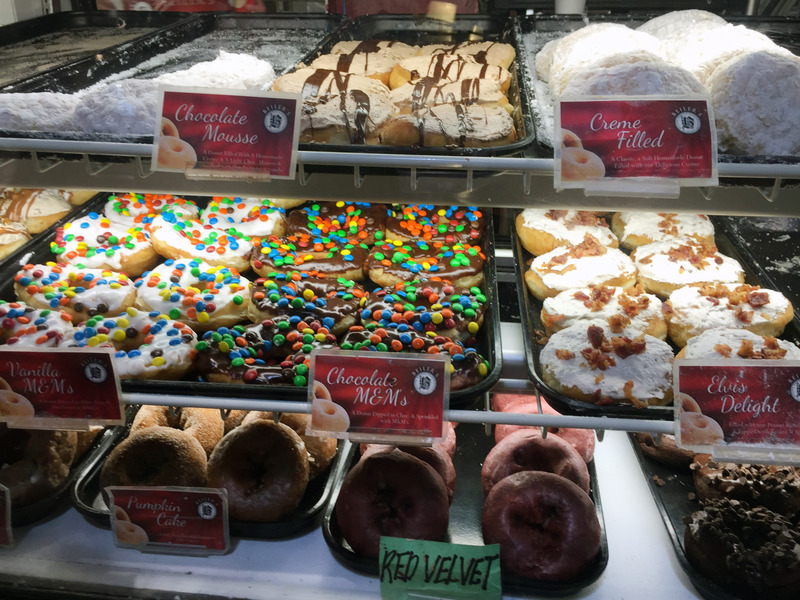 The selection was predominately yeast donuts, but there were a scattering of cake donuts amongst them. 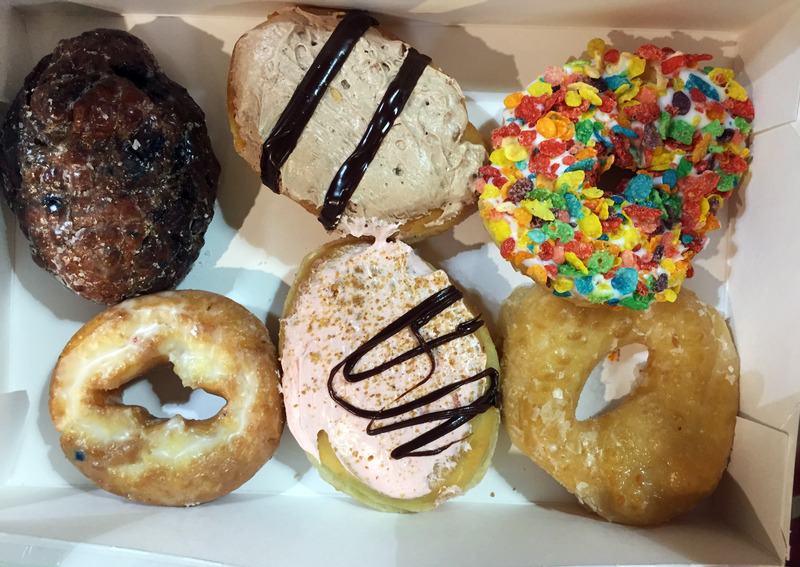 I opted for a plain glazed, a fruity pebble, a chocolate mouse, a strawberry cream, an old fashioned sour cream, and a blueberry fritter. I started with the most basic the warm up my palette. 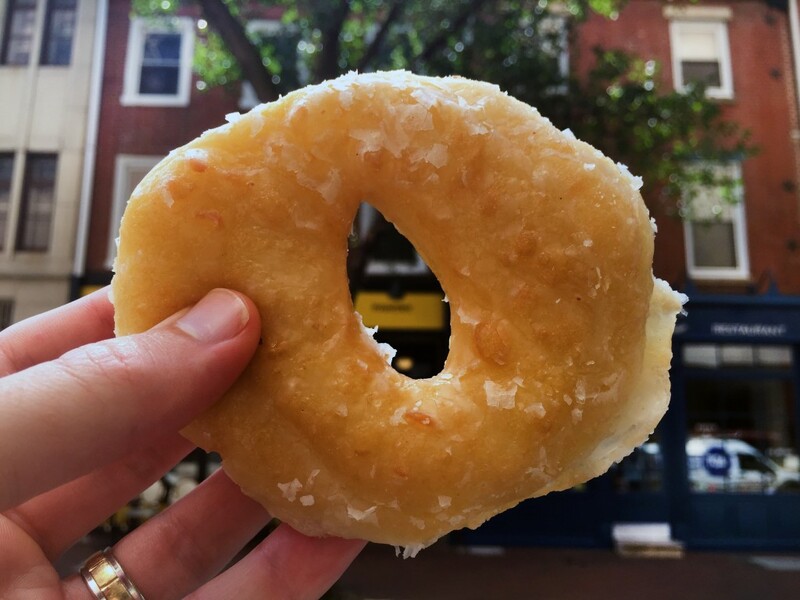 The glazed donut was a yeast donut that was soft and chewy. It flattened out with each bite and went down the hatch far to easy. The glaze wasn’t overpowering and it had a funnel cake after taste…most likely due to the fact that it was fried. Or that most PA Dutch people use the same kind of oil in both recipes. The charm of this one comes back to it being hand rolled and a unique shape. The chocolate mouse and the strawberry cream donuts were yeast donuts as well. The topping was whipped and airy like a mouse and were mild, but fresh, in flavor. These donuts got physically flat as well with each bite. 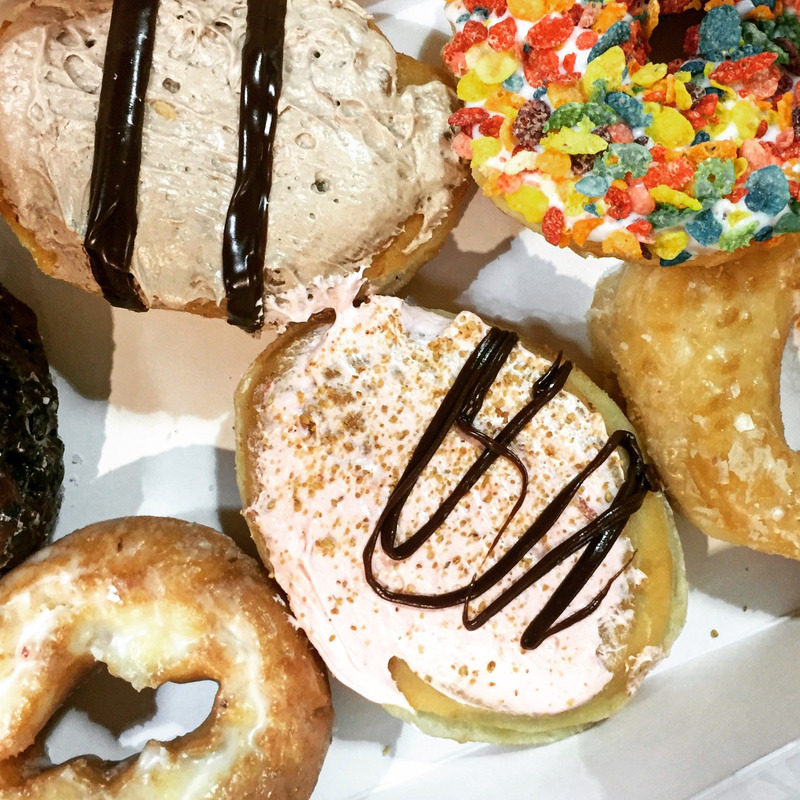 The fruity pebble donut had a nice crunch with it and tasted like fruity cereal milk. The old fashioned sour cream was as it should be. 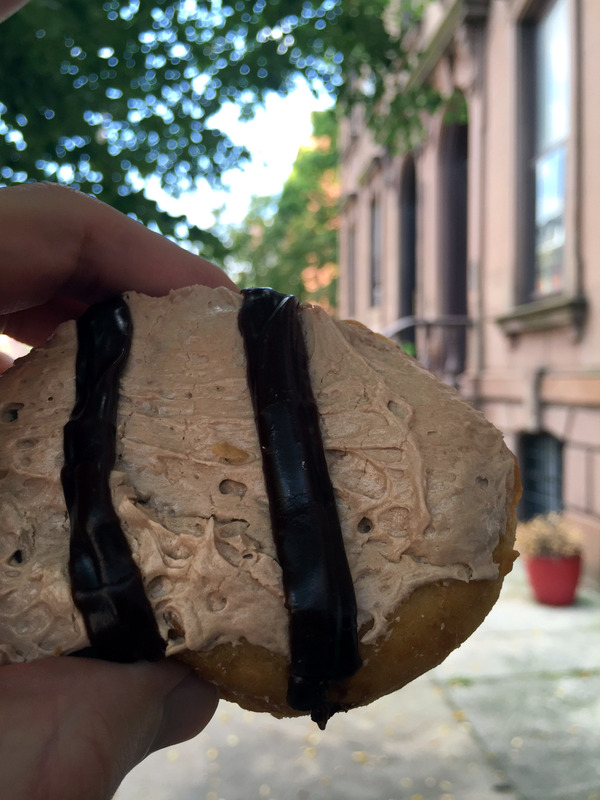 A flavorful cake donut with a soft interior. Good flavors. And the blueberry fritter was the densest of the bunch, but packed in a bunch of blueberry flavor. 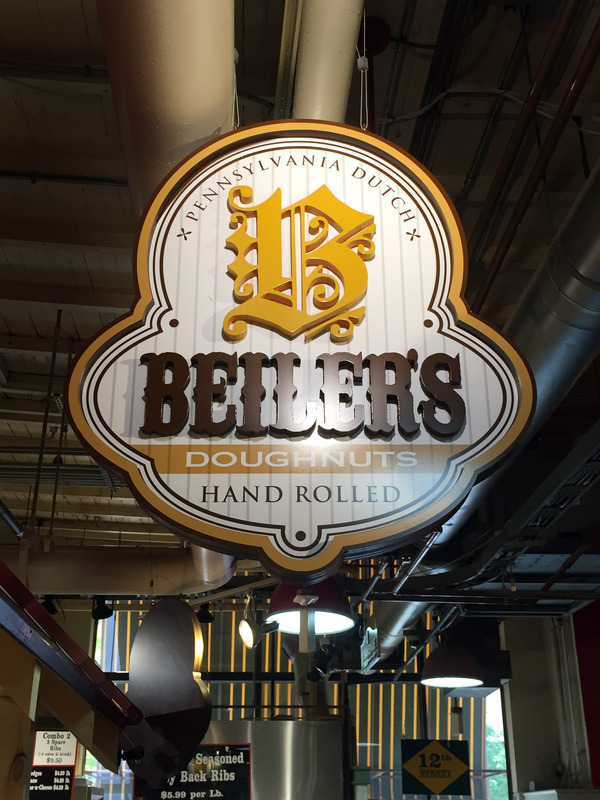 Certainly worth a trip the next time you’re in Philly.